Sometimes when property owners decide to offer their property on lease, they are approached by many interested parties. Though this is surely a great thing as the owner can choose the best party, it can also sometimes be overwhelming to keep track of each party. However using an Application Forms can make it easier for the owner to record the details of each party and then review these later to zero in on the one he feels is best suited to rent out the property to. 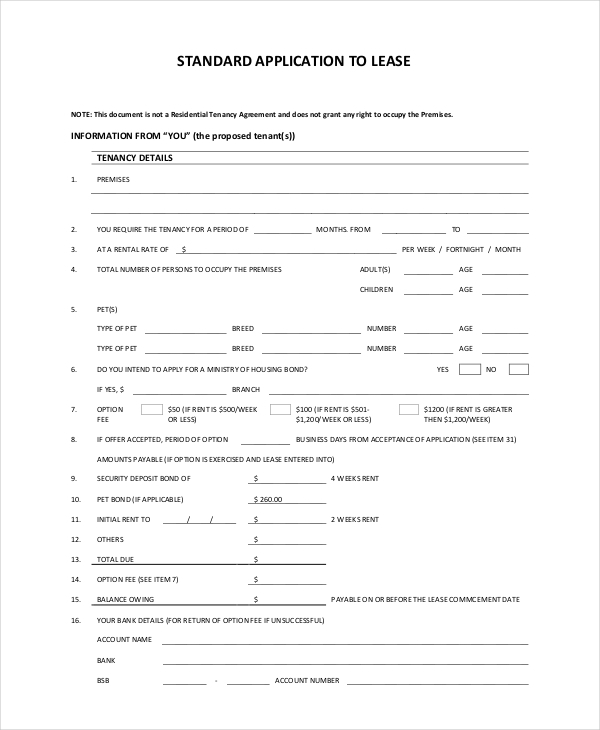 A property owner can use this form to accept the requests of the people who might be interested in leasing his property. The form comprises of a number of segments which urge the prospective tenant to share maximum information. These details later come in handy when making a decision. 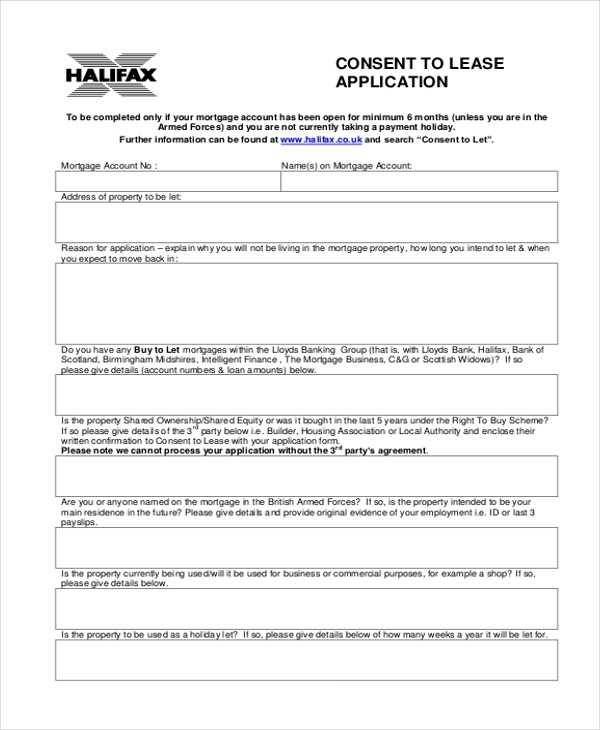 you may also see Sample Tenant Application Forms. When an owner of an apartment wants to lease it out to a tenant but may be finding it hard to decide on whom to rent it to, he can use the form to collect the details of the parties interested in the lease. He can later review these forms to make a decision. You can also see Apartment Application Forms. 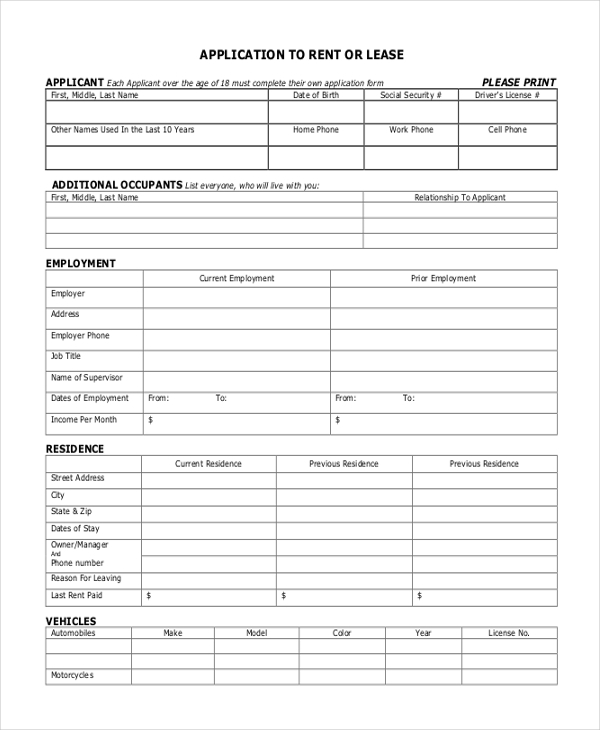 This form is used by house owners to accept the applications of people who may be interested in leasing the house. The interested parties are required to fill in the form with their personal details and the reason why they want to lease the house. 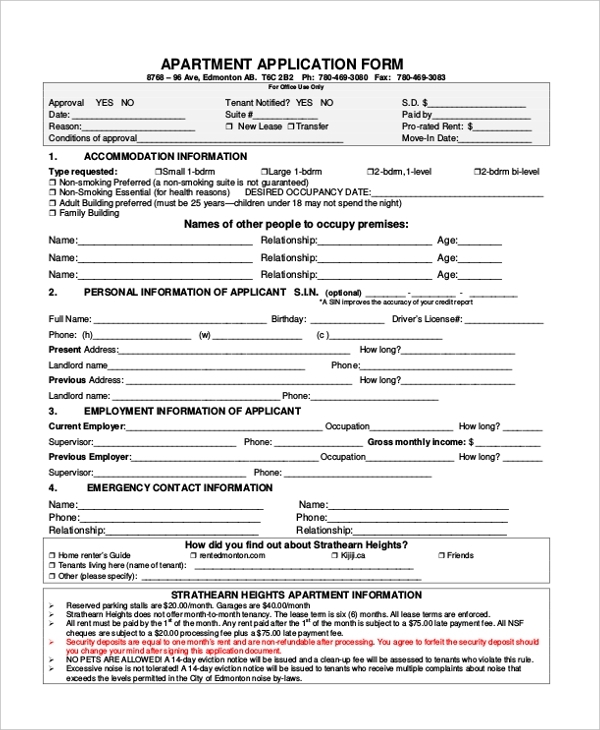 You can also see Housing Application Forms. 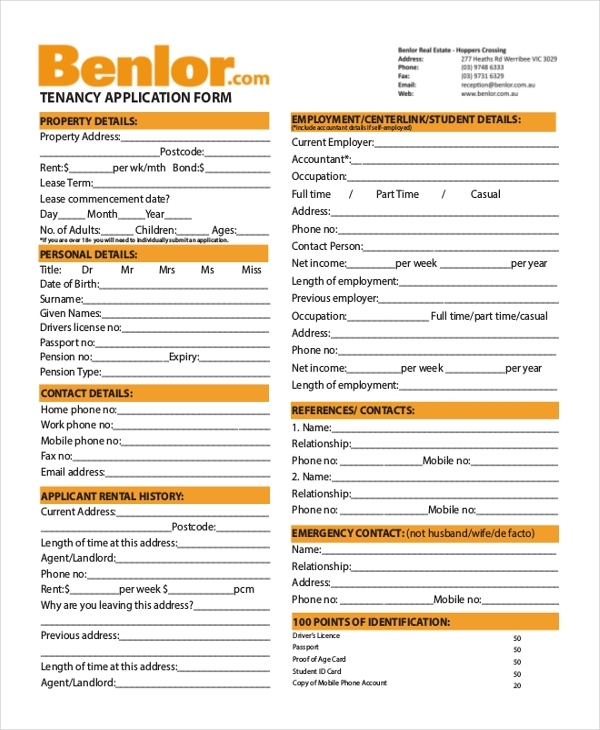 This form can be used by any person who wishes to rent out his property to another party. 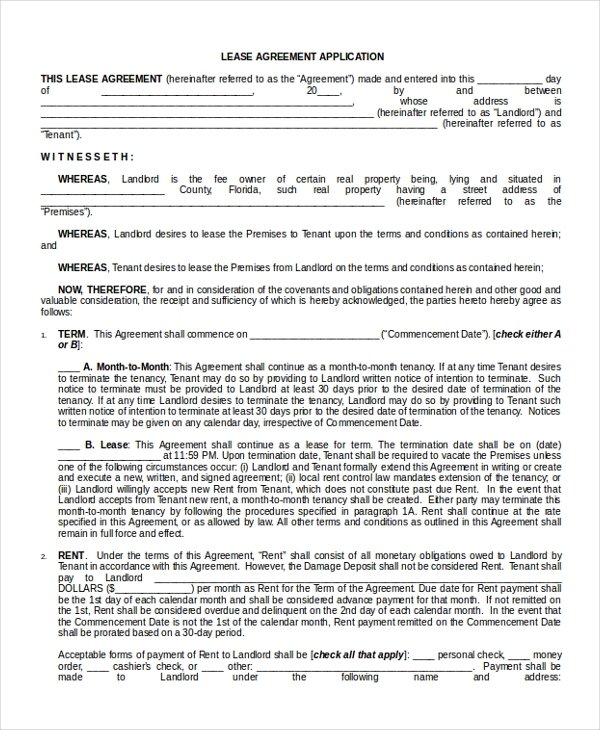 This form comes in handy to draft an agreement that should be signed by the owner and the tenant. It gives the user an idea of the clauses to be included in the agreement. When a property owner wishes to rent or lease his property to another person but is approached by a lot of interested parties, he can use the aforesaid form to accept applications. He can later go through these forms to zero in on the person he wishes to lease out his property to. 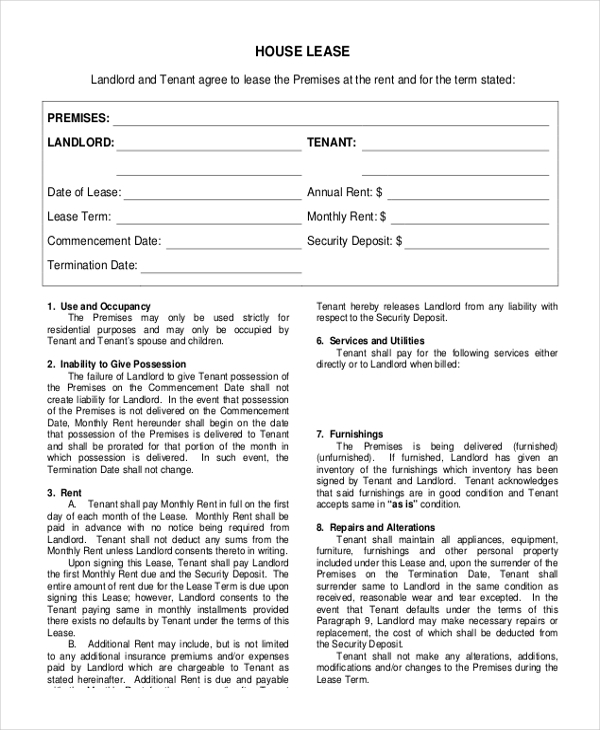 As the name indicates, this is a standard design of a lease application form and can be used by any person irrespective of the type of property he wishes to lease out. With all the required segments in place, the user can quickly personalize this form. A person who wishes to lease his property should get a prior consent from the concerned authority of the state. He can use the aforesaid application for the purpose. He should fill in the required details in the form and then submit it. 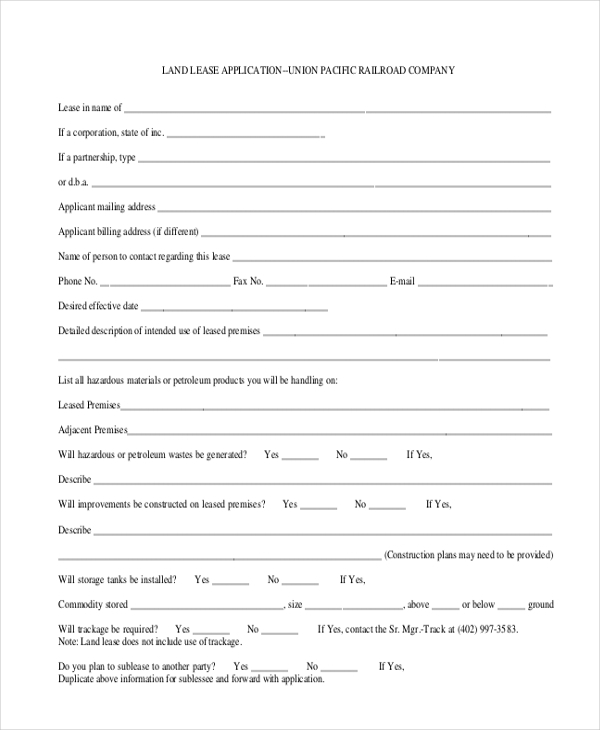 This form can be used by a landowner to accept the application of people who may be interested in leasing the land. The applicants should fill in their personal details in the form and the reason why they want to lease the property. When a person wishes to lease out an automobile to an interested party, he can use the aforesaid form to invite applications from various prospective tenants. He can later review these forms to decide on the person he wishes to lease the automobile. 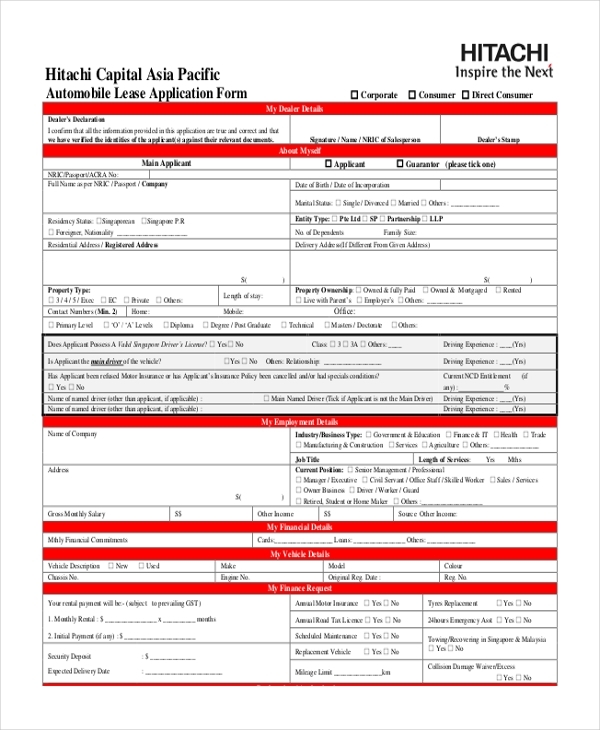 You can also see Sample Vendor Application Forms. Need some help to design a lease application form or a Triple Net Lease Forms? Take some cue by choosing one from our wide collection of these forms. Easy to download and customize, these forms help you to design a unique lease application form in a jiffy, and that too without the help of an expert.